It is imperative for a competitive e-business outsourcing service provider to manage the execution of its service level agreement (SLA) contracts in business terms (e.g., minimizing financial penalties for service-level violations, maximizing service-level measurement based customer satisfaction metrics, etc.). In order to do that, the provider must possess a generic means of capturing and managing the SLA contract data (e.g., quality measurement data sources, service-level evaluation rules, etc.) as well as the relationships between them and internal service-level management (SLM) data (e.g., resource management data, system configuration data, etc.). 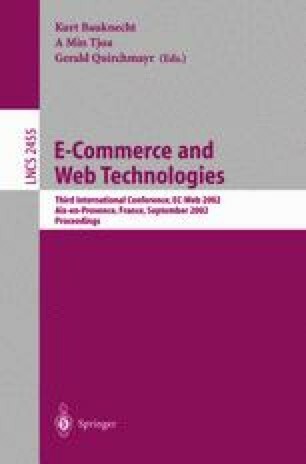 This paper presents the design rationale of a generic SLA semantic model (including a set of semantic elements and relationships) based on an in-depth analysis of nine real ebusiness outsourcing SLA contracts/templates comprising over 100 servicelevel guarantees and intents. Our development experience with a state-of-the-art SLA contract execution manager (named SAM) suggests the semantic model is practical and useful.